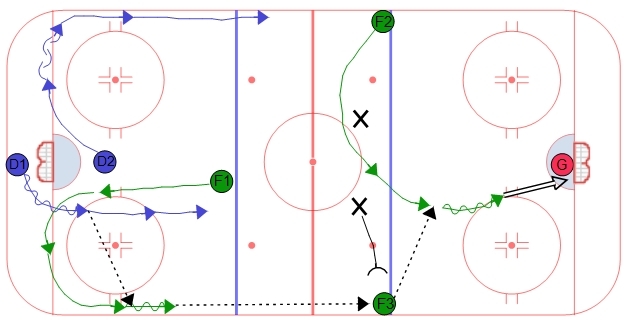 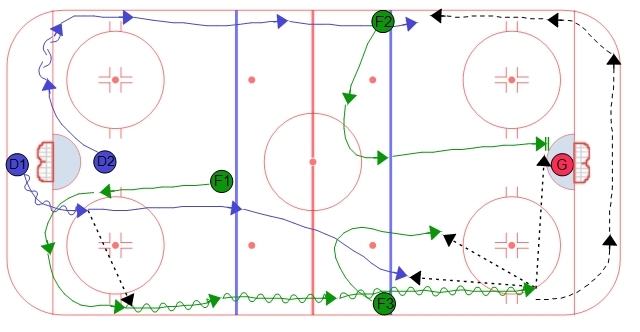 Double Swing Power Play Breakout - Seam Pass | Ice Hockey Systems Inc. 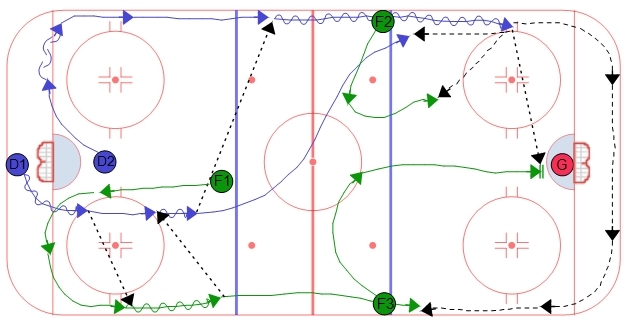 In this option the swinging player (F1) that receives the pass will pass cross-ice through the seam created by the opponents penalty kill forecheckers. 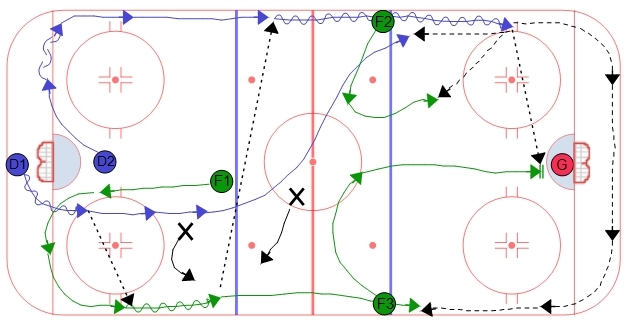 The zone entry options remain the same.